Your heart and mind may be ready to start the journey to motherhood—but how about your body? To give your future baby the best start in life, it’s important to get your health in its best condition first before trying to conceive. A visit to a gynaecologist for a complete physical check-up a few months before trying to get pregnant will help determine how to become physically and mentally prepared to have a baby. Your doctor would also be able to establish a baseline to refer to during the pregnancy. How to make the most of my check-up? 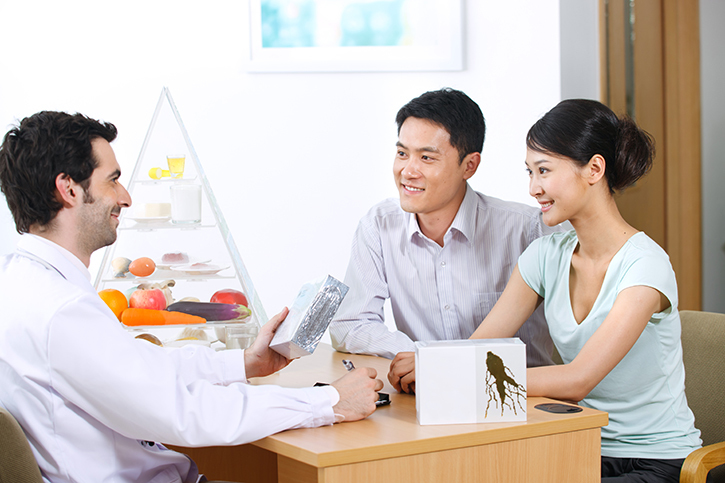 •	Most probably, you’ll have several concerns you’d want to discuss with your Singapore practitioner. To avoid forgetting anything, write it down on a piece of paper and hand it to your physician during your consultation or reiterate what’s on the list as you go along. This ensures that the most important concerns are discussed first. Do not leave your major concerns until the end, or you may run out of time to discuss it. •	If it’s a new gynae you’re seeing, or you’re trying to get a second opinion, it would be helpful to give a brief summary about yourself before the consultation starts. Professional practitioners rarely have enough time to go through your medical notes in full. •	Ask for your doctor’s contact number when you go for appointment with a gynaecologist in Singapore. She may be able to answer your last-minute questions conveniently via phone call, but make sure the most important queries are answered during an appointment. •	Unless your case is an emergency, make sure to set an appointment with your gynaecologist early on. Do I have to take my husband with me during an appointment? If possible, it’s a good idea to take your husband to the hospital with you for a pre-pregnancy consultation. But be sure to discuss beforehand with your husband the things you want to ask your physician and make a list of it. Attending an appointment together serves several benefits. Both of you will be informed of the lifestyle changes you may have to make. Your husband will be educated how important it is for you to eat well, avoid stress, and get plenty of rest. This can bring you and your husband closer together and make him feel more involved in your pregnancy. Also, two heads are better than one! You can back each other up to help remember the points you wish to raise to your physician and to help recall your doctor’s response after the consultation. How does the prenatal check-up help? During your check-up, expect a lot of talking as this is the chance for your doctor to educate you on staying healthy and your chance to raise any of your health and personal concerns. Your practitioner will do several tests and talk about the lifestyle changes you may have to make to ensure healthy maternity. Here are the things you’ll learn from a gynaecology visit. It’s possible to get sick without you knowing it. Diabetes, for instance, can go undiagnosed, as well as hepatitis, syphilis, and HIV. Your physician will likely perform all the blood works—CBC, rubella test, hepatitis, test, antibody screen, and blood type—to detect if there’s any issue that has to be dealt with prior the conception. While rubella, also called “German measles,” isn’t very common, the virus still exists. And if a pregnant woman catches this virus, it could cause serious birth defects to the baby. Varicella, or chicken pox, is another serious disease that can negatively affect an unborn child. A blood test is done to find out whether you are immune to these diseases and if vaccination is required. If you’re overweight, you may find it hard to conceive—the same holds true if you’re underweight. Maintaining a healthy weight is beneficial to your baby once you get pregnant. If you’re too heavy, you’re at risk for developing blood clots, diabetes, and labour complications that could lead to caesarean section. If you’re too thin, your baby would be at risk for being underweight. Women diagnosed with diabetes are strongly advised to check with their physician before trying to get pregnant. Keeping glucose at healthy level is crucial for safe pregnancy. Also, soon-to-be-moms who take oral medications to control blood sugar levels might have to switch to injections, as some pills can go through the placenta and may cause birth defects. Hypothyroidism also requires special medical attention. Thyroid hormone requirement increases during pregnancy, therefore medication levels must be adjusted to ensure proper neurological development. Your physician in SIngapore will inform you of the possible results of drinking alcohol, smoking, and taking drugs to your baby while on your pregnancy. If you smoke, quit the habit before you get pregnant. Babies born by mother who smoke often have low birth weight and are at greater risk for attention deficit disorder (ADD) and sudden infant death syndrome (SIDS). For mothers, there’s greater chance for placenta previa, placenta abruption, and miscarriage. Drinking alcohol and taking drugs also have to stop before pregnancy. By the time you find out that you’re pregnant, the baby’s central nervous system starts to develop. Alcohol consumption during conception can cause fetal alcohol system, a preventable cause of retardation. Likewise, use of drugs such as cocaine and heroin can cause congenital abnormalities, low birth weight, and increase the chance of miscarriage. Getting a pre-pregnancy check-up is the first step to ensuring your soon-to-be child’s health. And if there’s the slightest chance that you might be pregnant, abstain from unhealthy practices and risky behaviours, live a healthier lifestyle, and most important of all seek professional advice. Remember: the more educated you are, the more chances for you to have a healthy pregnancy.